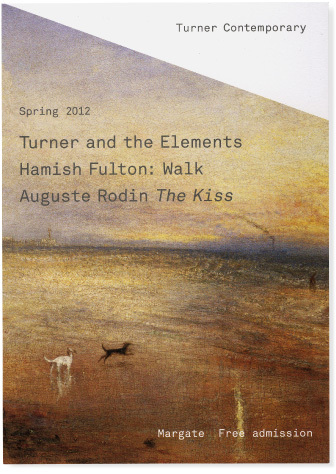 January saw two new exhibitions open at Turner Contemporary Margate. Turner and the Elements is the gallery’s first major exhibition of JMW Turner’s work and explores the role that the elements played in Turner’s uplifting watercolours and paintings. 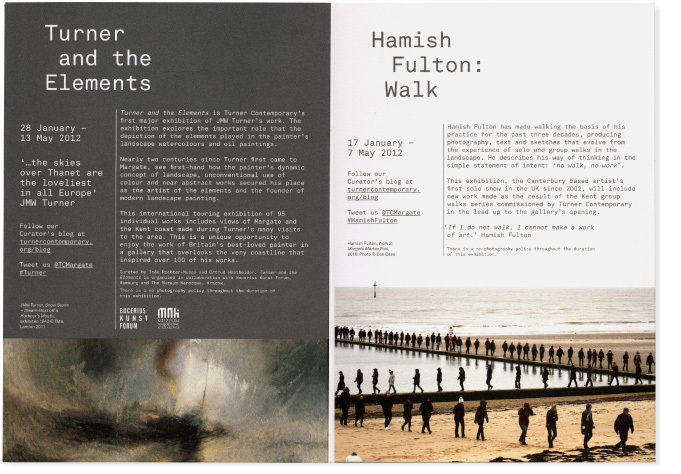 Hamish Fulton: Walk features inspiring new works that have evolved from Fulton’s group walks around Kent. 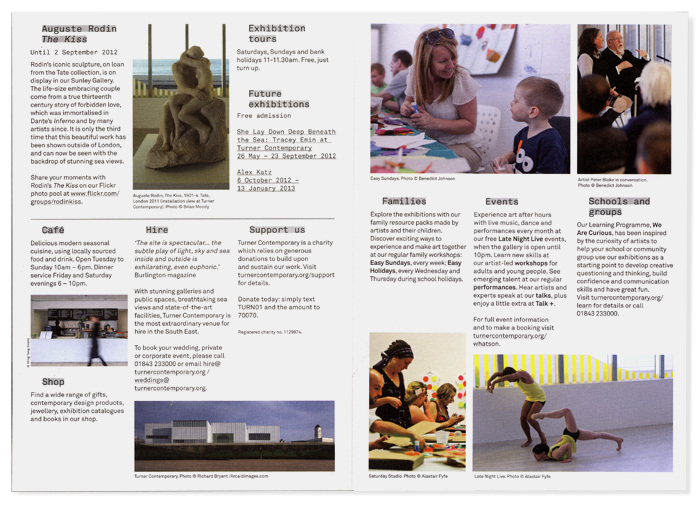 Both exhibitions have received rave reviews by art critics. 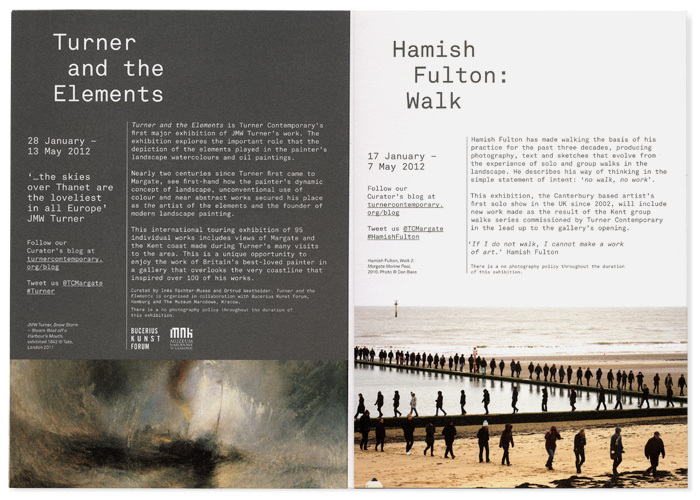 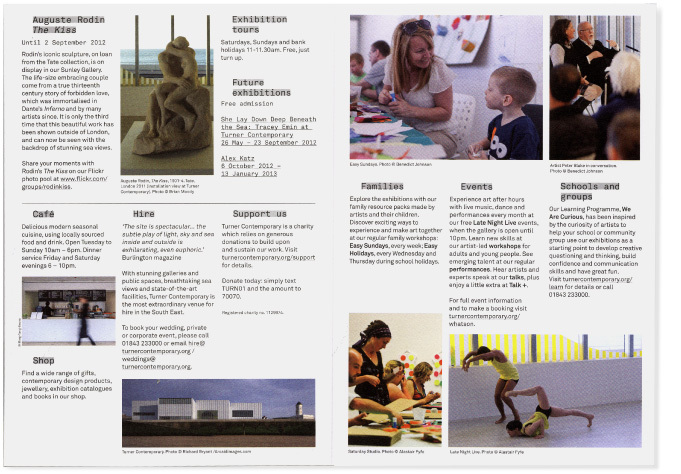 Intro worked with Turner Contemporary to produce a range of print materials to promote both exhibitions, which included external banners, programmes, postcards, leaflets and adverts.